Flavia is a Program Analyst in Núcleo Ciência Pela Infância (NCPI), a collaborative initiative that includes the Center on the Developing Child (Harvard University), Fundação Maria Cecilia Souto Vidigal (FMCSV), the Medical School of the University of São Paulo, Insper, and the David Rockefeller Center for Latin American Studies at Harvard. NCPI represents a model of collaborative work at the nexus of practice, policy, and research. Core program activities include the following: building a Brazilian scientific community around early childhood development; translating scientific knowledge for application to social policy; strengthening leadership around early childhood development through an executive leadership course for policymakers; Launching the iLab Primeira Infância, one of the Latin American Innovation Clusters, to bring researchers, practitioners, and program developers together to co-design and test new strategies for addressing childhood issues in Brazil–and then to share their successes and failures. She holds a degree in economics from the University of São Paulo (USP) and has been involved with social impact projects throughout her career. Flavia has worked in fundraising at the Ayrton Senna Institute, in public management with the Ceará State Dept. of Education, and supporting young talents at Ismart. 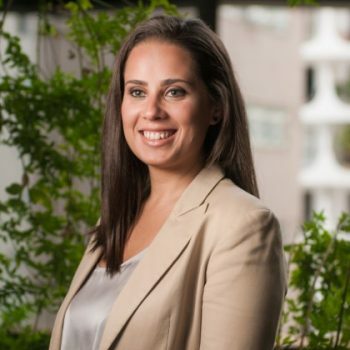 She is part of the Economic Studies Group in Education at USP and co-founded a Social Fellows network that connects people from FEA USP (University of São Paulo) who work with social impact across sectors. She strongly believes that working inside public sector can bring more positive impact at scale in Brazil and Join Amani’s program is a way to not only be inspired but connect with changemakers from around the world and work together to improve people’s lives.